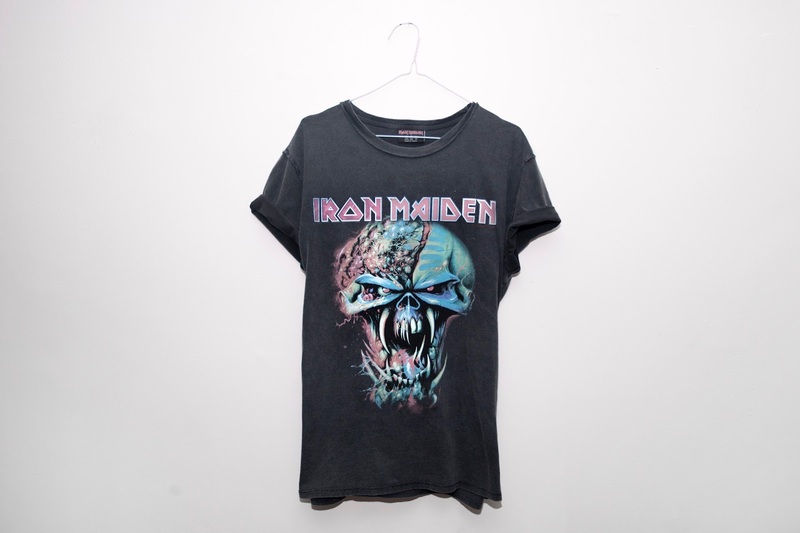 When I walked into Primark this t-shirt was the first thing that caught my eye, I love this pastel version of Eddie from the Final Frontier album, its so soft and uses some great colour combos. I like my band t-shirts oversized so I brought this two sizes up from what I would usually wear. I really love how accessible band t-shirts have become over the last few years, there is so much variety now compared to when I was younger, the only option then was the basic 'fruit of the loom' t-shirt. There are so many different cuts and feminine designs now, catering for a much larger audience. This bralet is so rock and roll, I just love the print! This top was originally £5 but had been reduced to £1! There was loads of these in the Leicester store so if your quick there might be some left. Bralets are brilliant for layering, I would probably style this under an oversized unbuttoned shirt or a sheer top with a pair of high waisted jeans. 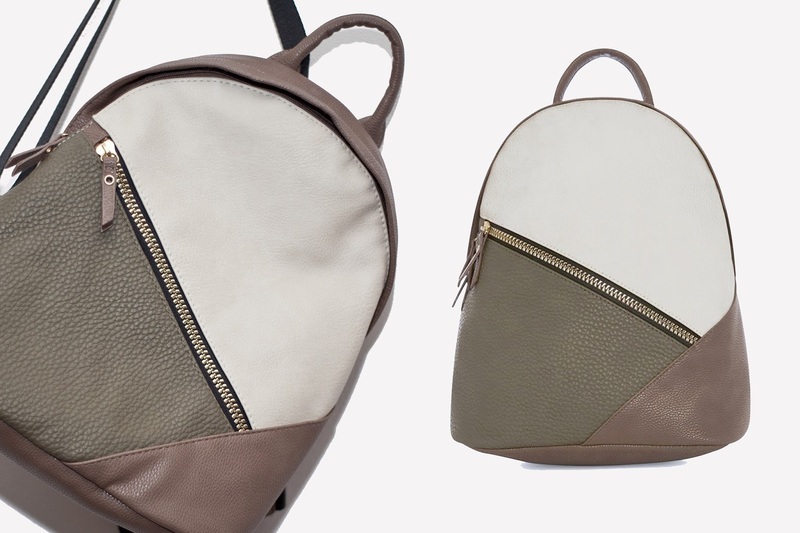 I've been looking for a new bag for a while now, it's one of those items that I really struggle to find as I'm pretty picky when it comes to bags. The contrasting segments and diagonal zip really drew me in it's so different, the colours also go really well with my current wardrobe. 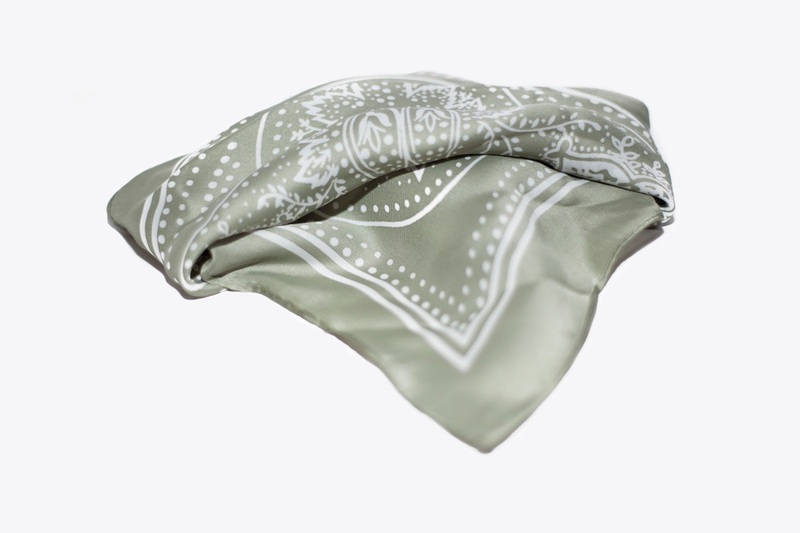 Since getting my hair cut short I have been stuck on ideas on how to style it, this satin bandana is a quick and simple way to change it up a bit. 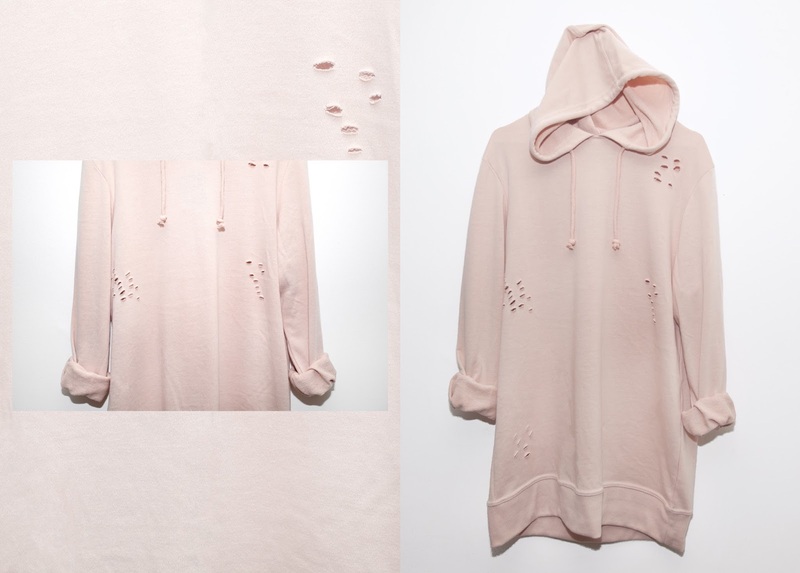 This hoodie is just the best! I love the subtle colour and distressed style, I also like the fact that it's longline. I found that my usual size didn't fit around my bum and thighs due to it being rather long, it was pretty tight fitting and wasn't really what I was looking for. I've been wanting an oversized hoodie for quite some time now so I went three sizes up to a 16. Now this doesn't always work so if your going to do this make sure you try it on first! Fortunately I really like how the larger size fit and hung on my body. This shows how you should never dismiss or be embarrassed to try other sizes particularly when it comes to Primark as their sizes differ quite a bit depending on the style or cut of the garment. 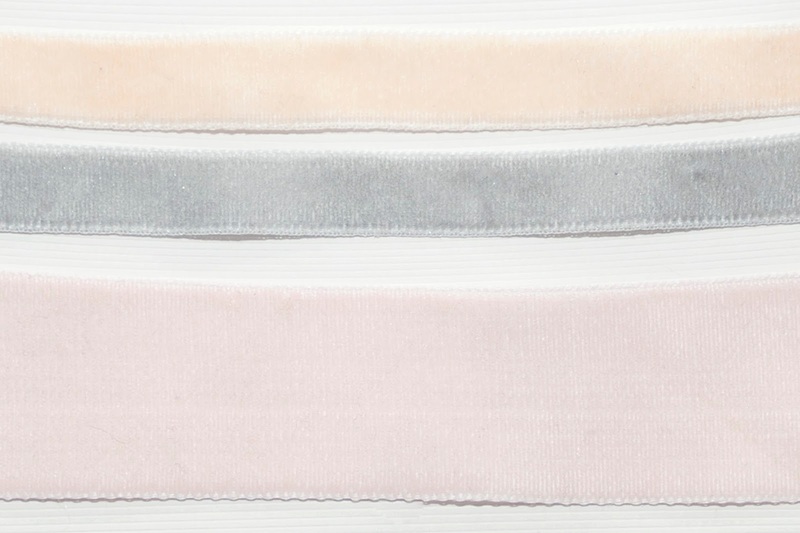 I felt I needed some accessories to go with my new garments and these set of three velvet chokers were perfect, the colours complimented the items I already had in my basket and would really tie together an outfit, as I personally believe a great outfit is all in the detail. This is part of a bra and pant set which was crazy cheap at £5 but my favourite part definitely has to be the bra. I really like the contrasting fabrics, the lace is so soft and feminine against the bold striped elastic. This actually looks pretty good under the leopard print bralet as it shows off the racer back feature really well. 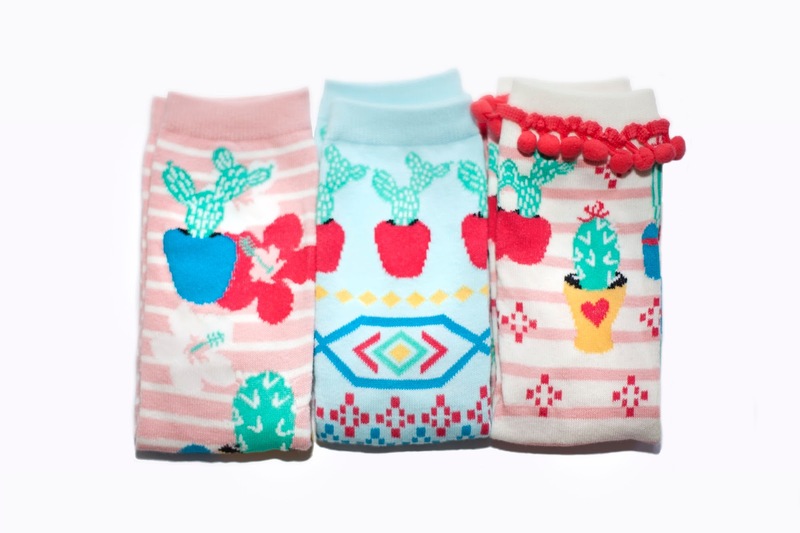 These socks are so cute, I love the pompom detailing around the edge. Spring is coming around and these would look great with a dress, skirt or pair of shorts. So that was my haul. I have to say I was pleasantly surprised with what I found in Primark as it's one of those hit or miss stores, it's definitely worth having a look though as they have some great items in at the moment. If you would like to see more hauls let me know. I'm going to go into the Leicester store when I finish nights tomorrow morning for the sole purpose of hunting out that leopard print!